The former footballer, 39, shared the good news on Instagram, alongside a family photo with daughters Luna, 12, and Isla, 10, from his previous relationship with Elen Rivas and his wife current wife, Christine. 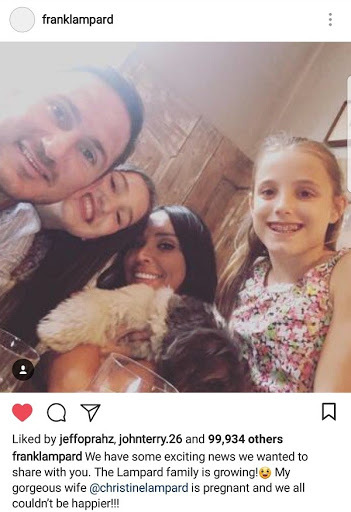 The Chelsea FC and England football legend, Frank Lampard and his wife, Christine Lampard are expecting their child together. The couple who have been together for six years, tied the knot in a lavish London wedding back in 2015.